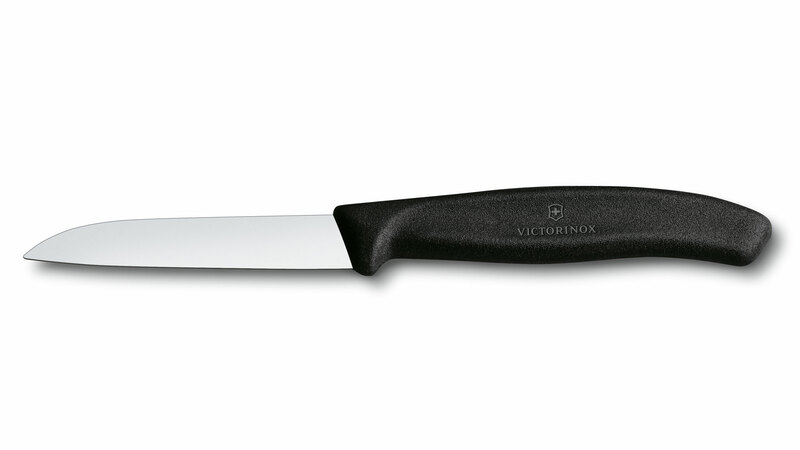 Lightweight, handy, elegant and reliably good quality — this sums up the SWISS CLASSIC series of knives and cutlery from Victorinox. The steel blades are fashioned from rustproof steel. They will cut cleanly, but are nonetheless elastic enough so that there is no risk of their snapping while you’re using them. The handles are made of TPE (thermoplastic elastomer). This material is highly slip-resistant and meets stringent hygienic requirements, so that the knives can be sterilized and will tolerate temperatures up to 110° C. It hardly needs mentioning that they’re absolutely dishwasher-safe. 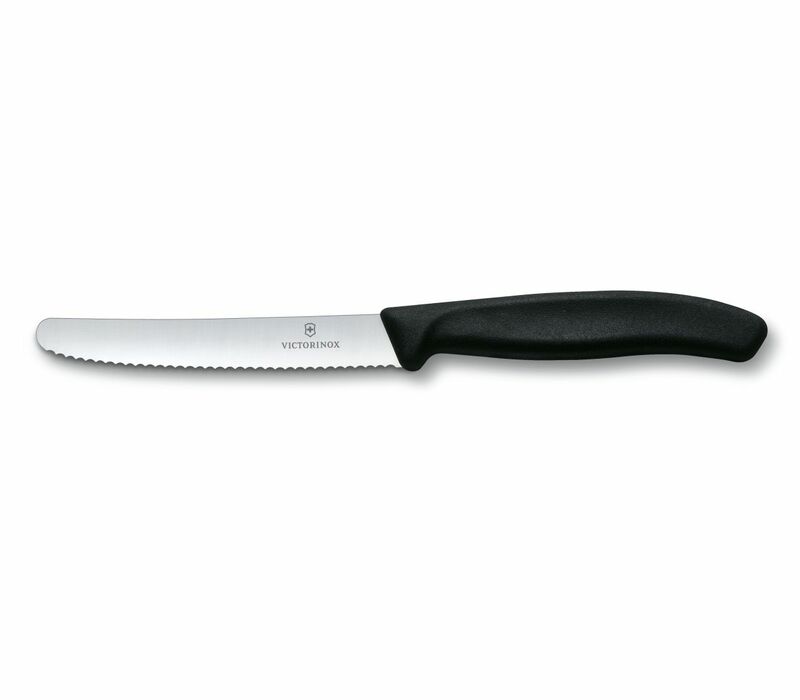 Paring Knife SWISS CLASSIC All-round kitchen knife. 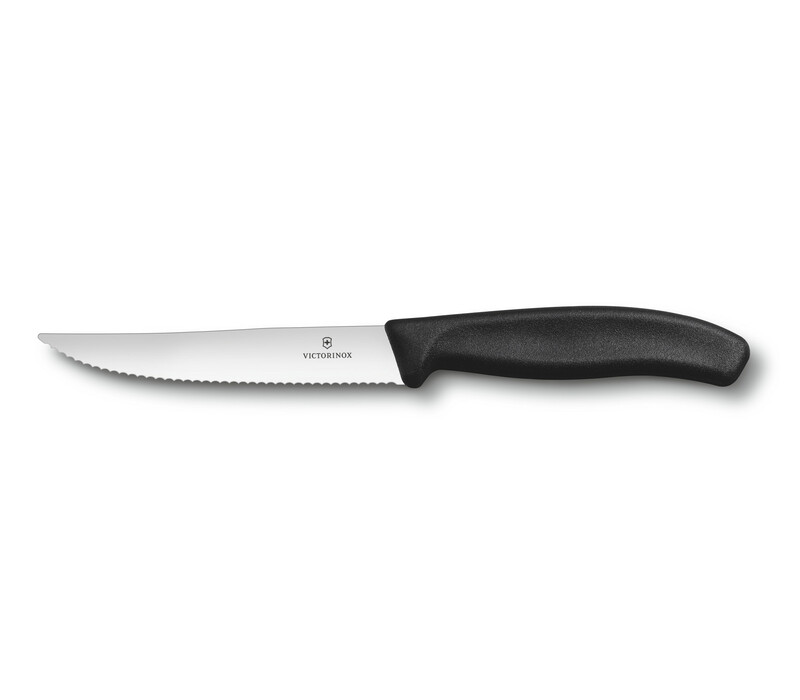 Tomato and Table Knife SWISS CLASSIC A versatile knife, suitable for vegetables and also for use as a normal table knife. 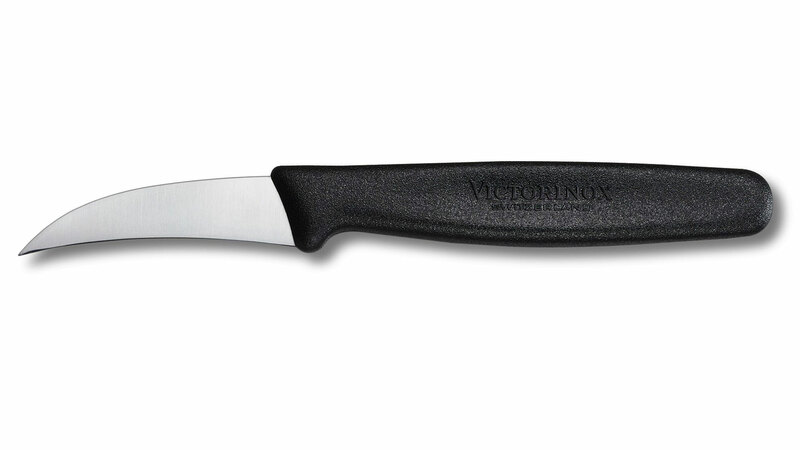 Steak Knife SWISS CLASSIC Perfect for meat and pizza. Peeling Knife SWISS CLASSIC Peeling knife for fruit and vegetables with a curved blade. Paring Knife STANDARD For small jobs where you need the extra control of having your hand close to what you’re cutting. Note: the knife handle is made of polypropylene, and is dishwasher-safe.